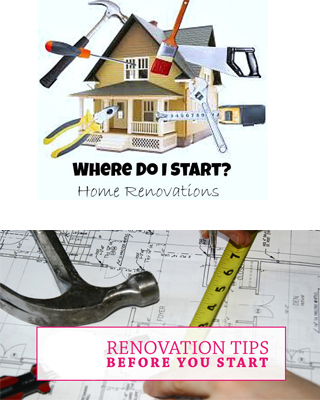 Deciding to renovate a property is one thing but the actual process is a totally different ball game altogether. This is going to be something that will cost money and you DO NOT ever want to get it wrong. Planning your expenditure is CRUCIAL! Dishwasher/ Sink – Malaysian homes do not use dishwasher much. A good wash basin (sink) would be sufficient which cost between RM200 to RM500 depending on the brand. Tiling – You must prepare specific tiles for the kitchen which is different from the other parts of your home. This will usually be about RM5 per square meter. There can be NO compromise when it comes to your living room. This is where you rest and relax and you must put a lot of efforts there. Planning the cost might be challenging. Electrical equipment – This is where the possibilities can be endless. It really depends how large you want your TV to be and what sound system you would like. But if you are tight on budget, remember that such appliances can be upgraded in the future. Renovating the bedrooms can be a bit tricky if you have children. Your own bedroom might be easy to decide but determining how your kids like it might be challenging. Paint – Use cool and pastel colors for the bedrooms. That is the common rule of thumb as it promotes rest and a relaxing environment. Linens – You might want to invest in a good set of bed linens and comforters. Try not to use microfiber material as they can be quite warm. Look for Tencel material, cotton or silk bed linens. The porch area is very important because you will park your vehicle there. Most homes will use ceramic tiles as they dry faster and easier. You might want to install a cabinet here to store your items such as water hose, car shampoo, sponges, tools, etc. This is one part of the renovation that can be neglected. When it comes to wiring, you can never be too careless. It would be advisable to look for the best manufacturers which are of international standard so that you can be assured of safety. Like electrical wiring, your property’s water piping system must be efficient with no problems. The moment something gets stuck, it will be very depressing which means you might have to break some parts of the wall. Hence, renovating this system requires a lot of foresight because once they are installed (within the walls and ceilings), you will not be coming across them for a long time. Equipment – You must ensure that you are using the best material like ceramic for toilets and stainless steel for pipes. These are equipment that ensures your food is clean when installed in the kitchen. After all, you do not want pipes that damage too easily or get broken by house pests in the short term. Extending your home – Necessity or Indulgence? Putting it all together – What is most vital for you? At the end of the day, renovation can be a joy if you start on the right note or a pain if you don’t. It is simple as that. Before you start, plan how you want to do this. If you are going to move out of the home and let renovation happen, then you can let the contractor quote you on the entire property. But if you can stay in while certain parts are renovated, then going on in phases would make perfect money sense. 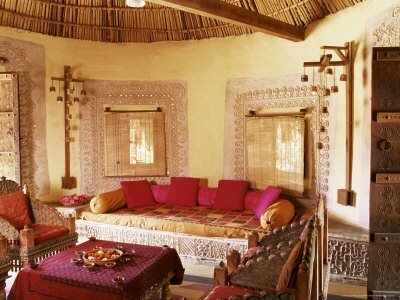 Ultimately, you want a comfortable place and that is what you deserve! 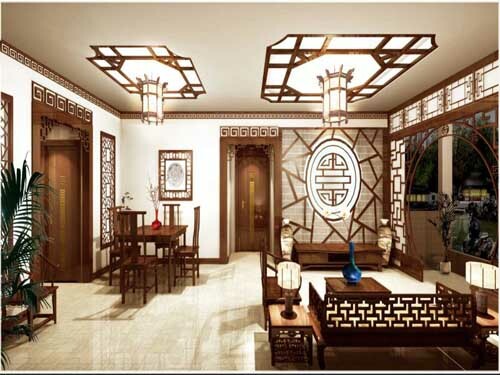 So, you are planning to renovate your space and you want to do this by selecting the best contractor. How then should you start? In most cases, people who are planning their renovation will appoint a contractor based on word of mouth and from people they know. However, not everyone is as fortunate who has a contractor they can trust. So what should you look for if you want to appoint a contractor? Below are some of the pointers. Every contractor is an expert in some area. They can be experts in tiling, marbling, kitchen cabinets, toilet and drainage, electricity and wiring and such. It would be best to know what the contractor specializes in before appointing them. In most cases, they will have the tools to prove their claims. Never believe one who tells you he can do ‘everything’. Before appointing the contractor, check and see what they have previously worked on. Ask them about their past projects and if possible visit the locations to evaluate their work. Contractors will know that you have a budget to work with. Ensure that all the costing and pricing are finalized before starting work. If they keep over-quoting you, choose another contractor. Choosing the wrong contractor can be disaster, so always ask for recommendations from friends and relatives or search in our renovation forum. Contractors should be professional enough to let you decide on what you want. They should not try and push every idea to you. They should allow you to buy your own material like cement, bricks, wood and tiles because their job is to get the fittings done. Contractors who insist on buying all the materials are usually those who want to earn more from you. Find a contractor who agrees to your timeline as long as they are not too demanding. If they cannot complete it on time, they will tell you beforehand and not make any empty promises and mislead you in terms of the schedule. 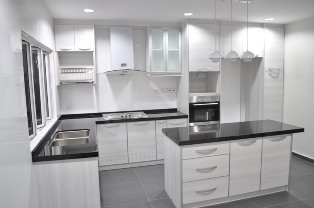 Electrical systems and equipment are integral parts of any home or corporate space. These are systems that are automated in their respective ways which are installed to make life easier and more accessible. When it comes to electrical systems, there are a few types which must be given emphasis because apart from being vital, they will determine the outcome of your expenditure each month. When renovating your space, you should consider changing the lighting types from conventional bulbs and modules to LED (Light Emitting Diode). This technology is currently being used by corporate spaces as well as residential homes around the world because of several reasons. The main reason is because they are very energy efficient which means that they do not consume as much electricity as conventional bulbs. LED Tubes and bulbs are very effective because they provide constant illumination and do not emit as much heat. Hence, in using these bulbs, you will save up to 70% in terms of electricity bills. Closed-Circuit Television systems are very useful in today’s environment because it provides you with the peace of mind. If you are planning to renovate your home or office space, consider installing a CCTV because you will be laying the cables behind the walls and edges. Automated system is like automatic-gates, remote control lighting switches and such. One of the systems that you can consider is to install automatic sensors which will detect the room temperature and then adjusts the cooling units. Another type of sensors that you can consider is those that detect the lighting of the space. 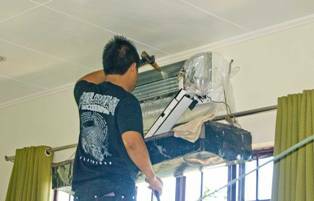 By installing these systems, you will surely save more on bills because you will not be consuming as much electricity for cooling and lighting in the long term because they will be automatically adjusted accordingly. Renovation can mean different things to different people. If you are planning to renovate, there are several factors that you need to consider prior to starting so that you will not have to suffer any wastage of funds and time because this process will very much determine the next few years of your lifestyle. Here are some tips that you should consider. 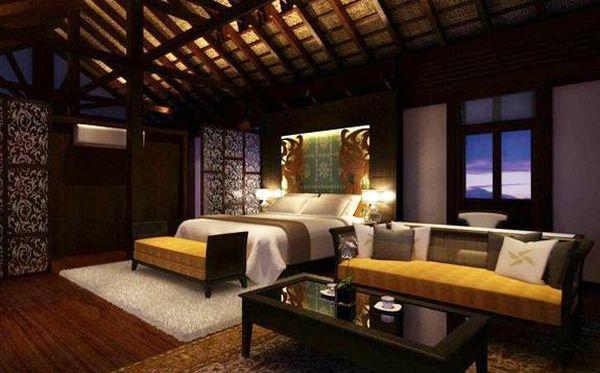 If you are giving your home a complete makeover, it would be best to engage an interior designer in Malaysia who will help you to take care of everything. 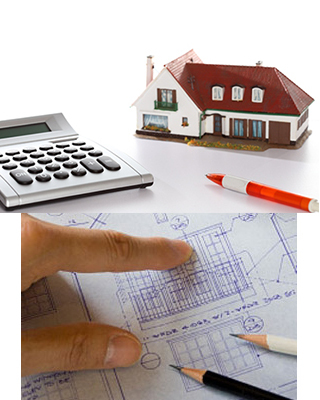 They will deal with the contractors while helping to work within your means. 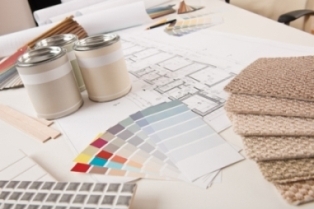 In most cases, the interior designer will be involved throughout the entire process where they will be aware of your budget. 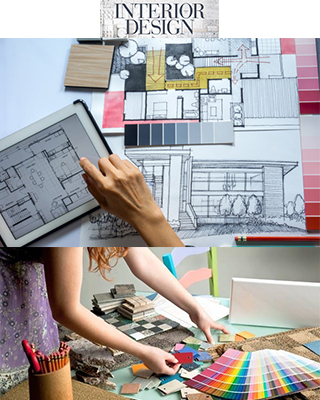 Our renovation forum is the best place to look for advices on home renovation and interior design. Our fellow members in forum.com.my are ready to assist you with your new renovation plan and project. It is most important that during the process of the renovation, you move to an alternative place to stay. You need to factor the costing for this as it means uprooting the family for a few months.